In a spot, a favorite spot, one that never fails to deliver a hillside full of sunny goodness along the trail. Near Crested Butte, CO. Thanks, hope you have a great weekend and thanks again for taking time to leave us some feedback as we really appreciate it. Another delightful photograph! Your blog never fails – always a wonderful picture, day in, day out. Thank you! Thanks for the kind words as we really appreciate them and I should say I I always look forward to your weekly adventures and stories every Friday. Thanks Belinda, hope yo have a wonderful weekend. Trully wonderful Mike. Have a great weekend! Thanks Pete, I hope to have a great weekend although the temperatures are getting up there. A scene sure to lift one’s heart! Beautiful. Hi Eliza, it is indeed a special hillside. Always bursting with flowers this time of year. Makes you want to lay in doesn’t it. 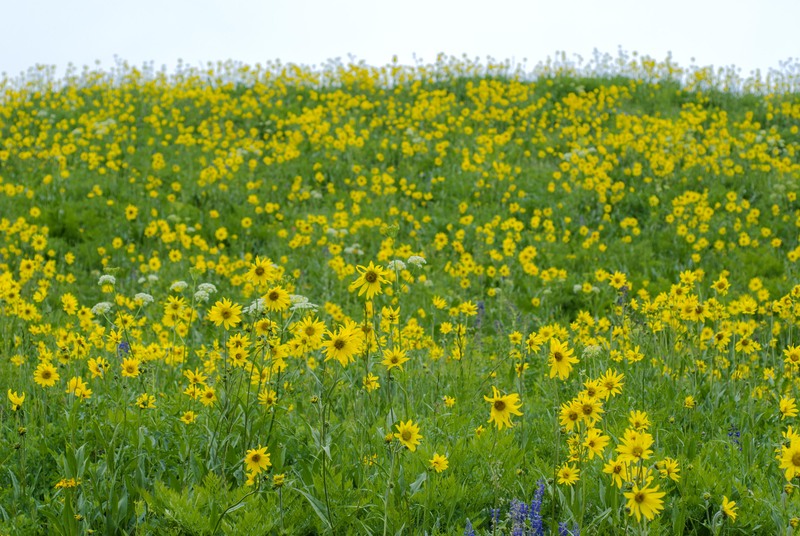 Your mountain meadows are the stuff of dreams! And those around Crested Butte this time of year are very special and the diversity of plants species is immense. Hi Diana, yes that is what I always say when I walk that section of trail. Pure flower abundance. 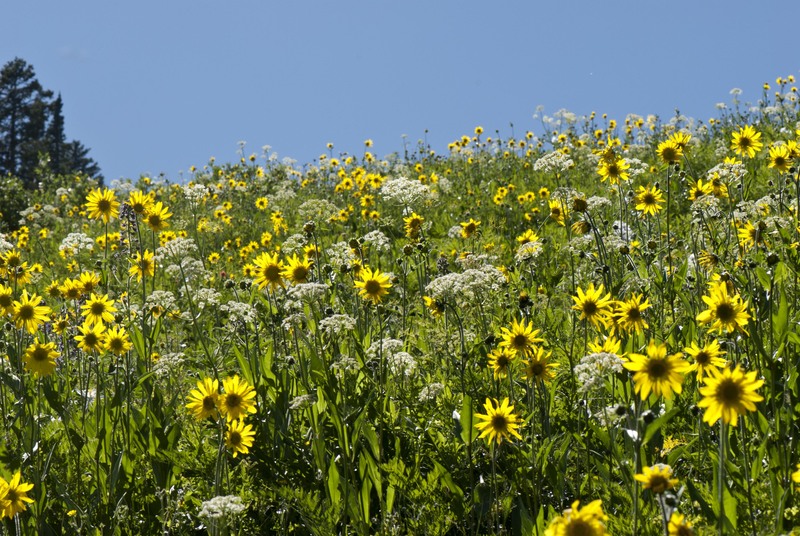 Thanks, it is one place we can count on every year to deliver abundant wildflowers. Hope your day is going well.